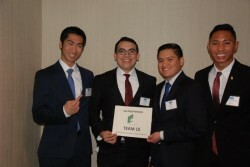 We are excited that Cal State San Bernardino plans to send 2 undergraduate teams and 1 graduate team to the student case competition. Inland Empire schools, we welcome your participation! Please read up on the benefits on our student webpage.